Neoadjuvant Treatment in Rectal Cancer: Do We Always Need Radiotherapy–or Can We Risk Assess Locally Advanced Rectal Cancer Better? There is good quality evidence that preoperative radiotherapy reduces local recurrence but there is little impact on overall survival. This is not completely unexpected as radiotherapy is a localised treatment and local control may not prevent systemic failure. Optimal quality-controlled surgery for patients with operable rectal cancer in the trial setting can be associated with local recurrence rates of less than 10 % whether patients receive radiotherapy or not (Quirke et al. 2009). However, despite the reassuring results of randomised trials, concerns remain that radiotherapy increases surgical morbidity (Horisberger et al. 2008; Stelzmueller et al. 2009; Swellengrebel et al. 2011), which can compromise the delivery of postoperative adjuvant chemotherapy. There are also significant late effects from pelvic radiotherapy (Peeters et al. 2005; Lange et al. 2007) and a risk of second malignancies (Birgisson et al. 2005; van Gijn et al. 2011). If preoperative radiotherapy does not impact on survival, can it be omitted in selected cases? The answer is yes—with the proviso that we are using good quality magnetic resonance imaging and good quality TME surgery within the mesorectal plane and the predicted risk of subsequent metastatic disease justifies its use. 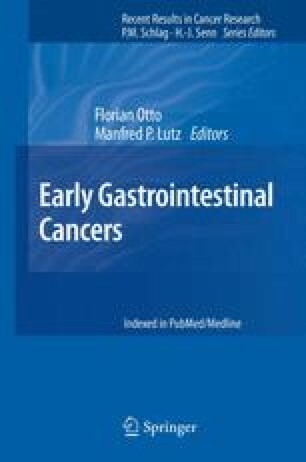 In this case, the concept of neoadjuvant chemotherapy (NACT) is a potentially attractive alternative strategy which might have less early and long-term side effects compared to preoperative radiotherapy—particularly where the MRI predicts a high risk of metastatic disease in the context of a modest risk of local recurrence. This chapter discusses a more precise method of risk categorisation for locally advanced rectal cancer, and discusses possible options for neoadjuvant chemotherapy (NACT).